One of the outcomes regarding the Dalai Lama in the post-1959 period is the clarity that has emerged about the nature of his followers. The conventional thinking about the Dalai Lama being merely the spiritual leader of the Tibetan people has changed. He has not only gained thousands of followers in both the Eastern and Western world, but more importantly the traditional followers of Tibetan Buddhism outside of Tibet, along the Himalayan region as well as in Mongolia and present-day Russian Federation, have become more visible. This can be clearly seen at the very many teachings that the Dalai Lama has been giving in India and elsewhere, particularly in Bodh Gaya, where we see an intermingling of Bhutanese, Monpas, Sherpas, Sikkimese, Ladakhis, Mongols, and more. His Holiness has spent the past several decades spreading his message urging traditional Buddhists to become modern; to devote more of their attention to the all-round study of Buddhism and not merely be consumed by the ritualistic aspect of it. He also feels modern Buddhists should be able to utilize the knowledge of Buddhist science to interact with modern science. His Holiness also mentioned his pleasure in the conference being held for the benefit of the Mongolian Buddhist community. Among speakers at the conference were Helen Y. Wang, a neuroscientist and a clinical psychologist at the University of California, San Francisco, spoke about Contemplative Neuroscience and Socially Engaged Buddhism; B. Boldsaikhan from the Mongolian University of Science and Technology who spoke about medicine and logic; K. Namsrai, a senior scholar in physics, who talked about relations between Quantum Physics and Buddhist philosophy; and Dr. Fadel Zeidan, Associate Director of Neuroscience at Wake Forest School of Medicine in North Carolina, spoke about the Neuroscience of Mindfulness, Meditation and Pain. In general the Dalai Lama visiting Mongolia should not be a surprise, considering the nature of country and its people. The Mongolian people have had a special historical connection with the Dalai Lama. Many are followers of Tibetan Buddhism, and their devotion to His Holiness was clearly visible during this visit. Some people traveled hundreds of miles in the current harsh wintry climate merely to have a glimpse of a spiritual leader they revere. In fact, there were even Buddhists from neighboring Russian Federation, who after hearing about His Holiness’ visit at short notice, made arrangements to be able to participate in the teachings. A New York Times report on November 19 described two such individuals: Daritseren, 73, an ethnic Mongolian from Russian Siberia, who had heard only on Friday (November 18) that the Dalai Lama was visiting Mongolia. “She traveled with 40 other people for 15 hours overnight to make it just in time for the sermon,” it said. Another individual, Boldbaatar, 75, a herder, had traveled 125 miles. “I’m an old man,” the New York Times quotes him as saying. “Maybe I’m seeing His Holiness, the incarnation of Lord Buddha, for the last time,” he added. However, China has for long been misunderstanding the person of the Dalai Lama, considering him a problem rather than a solution, and has been using economic clout to prevent countries from welcoming him. In fact, many countries far bigger than Mongolia have succumbed to Chinese pressure. The fact that Mongolia did not do so is a testimony to its leaders’ ability to uphold their principles and traditional values. 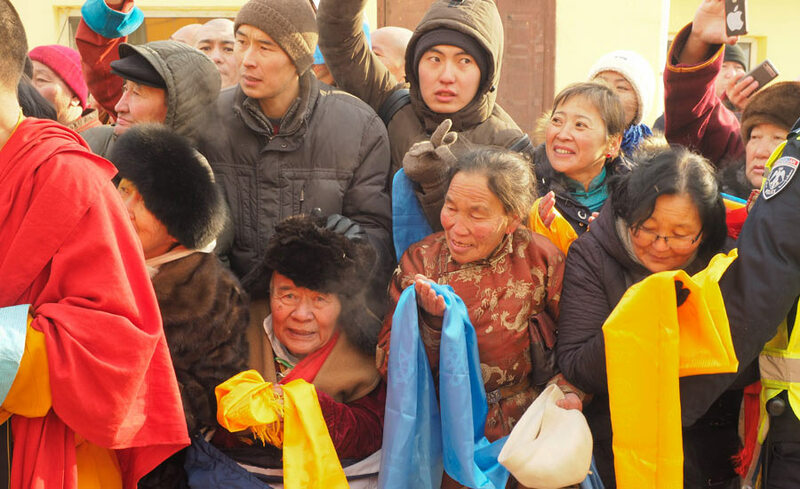 The Mongolian government did not let this undue pressures from China get in the way of enabling Mongolian Buddhists to receive His Holiness’ teachings. Reactions in the Mongolian media that I monitored clearly regard this development positively. I hope such developments will even lead to a time when Chinese Buddhists in China, too, can avail themselves of the wisdom imparted by His Holiness, just as the Mongolians were able to do this time. 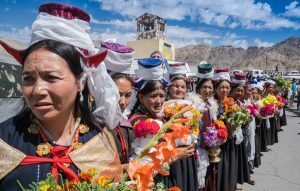 Next ›Why do Tibetan doctors get drunk when preparing certain medicinal pills?